The 60cm Ceramic Vanity Top makes for an excellent choice for modern vanities and contemporary bathrooms. Boasting a stylish design, this vanity top will add a touch of style and functionality to your bathroom. 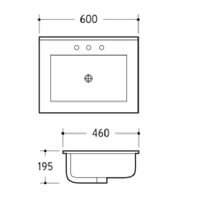 The 60cm Ceramic Vanity Top is available in a standard size of 600x460x195mm. Enjoy the perfect blend of good looks and great functionality with this ceramic vanity top. 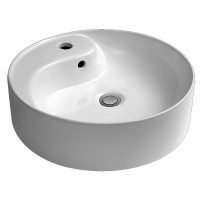 It is available in an easy to clean design and includes an inset bowl which comes equipped with overflows. Choose between a 1 or 3 tap hole configuration to suit a variety of tapware options. 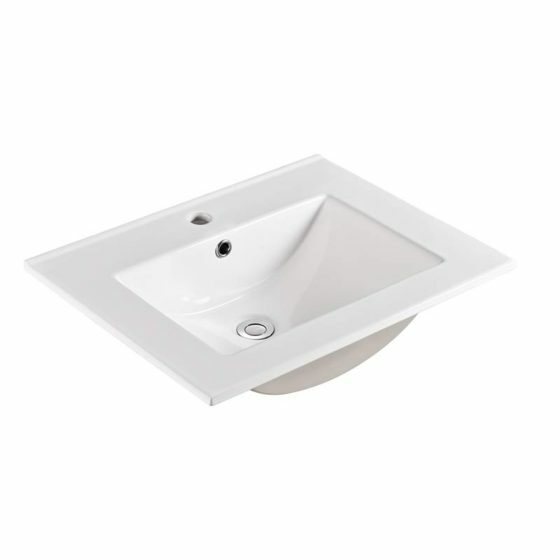 This vanity top is designed to work with a 32mm waste, which is sold separately. The 60cm Ceramic Vanity Top features all the qualities of a top-grade product. 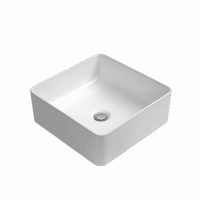 Due to superior manufacturing using high-quality white ceramic, it is built to withstand the test of time. Trust that it will retain its good looks and functionality even after several years of use. For practical and modern vanity tops in Perth, you’ll find none better than the 60cm Ceramic Vanity Top at Ross’s Discount Home Centre. 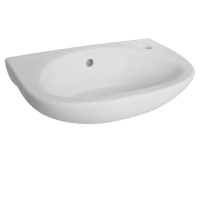 Shop from us online to purchase this ceramic vanity top at the lowest possible price in the market!